Welcome to Living Better Together and the TGIF Link Party! I’m your host, Rebecca from Living Better Together, in case we haven’t met yet! FREE Porch Quick Fix by Bella Caiden. Shannon delivers a true “less is more” post, removing the railings gave her home a whole new look and I love it! 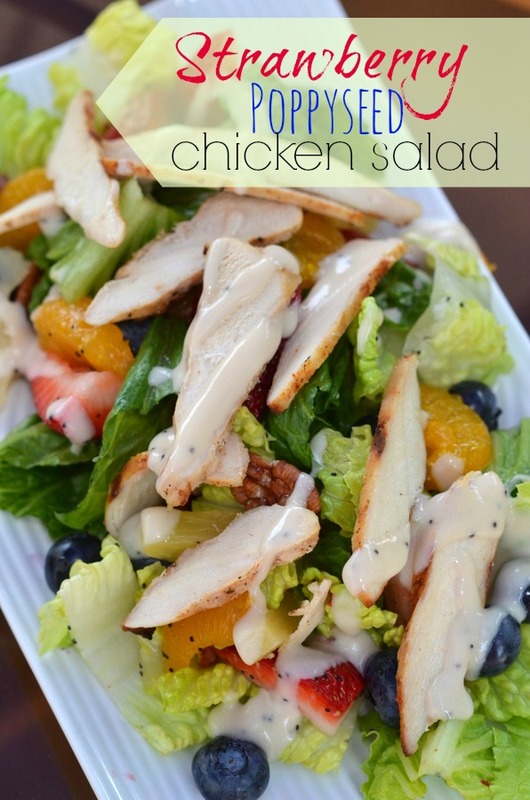 Strawberry Poppyseed Chicken Salad by Place of my Taste. Aniko will make your taste buds dance with this delicious dish inspired from Panera Bread! Oh what I would give to have this and some Panera lemonade for dinner tonight! 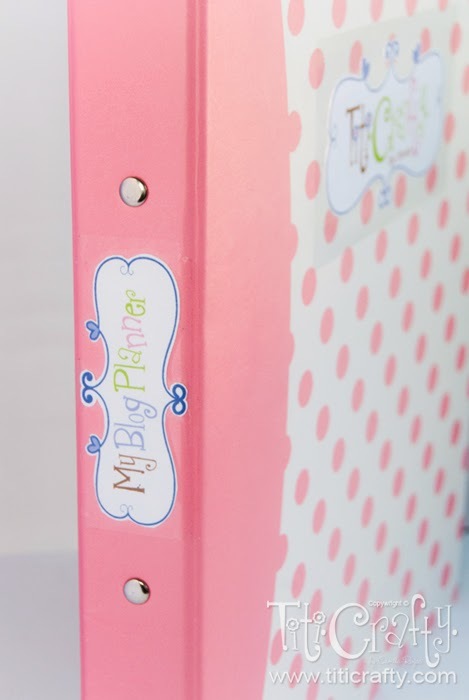 Blog Planner by TitiCrafty. Cami puts us all to shame with this super organized planner, I only wish I could be this organized. I guess when you blog in two different languages you probably have to be… again, she puts us or at least me to shame. 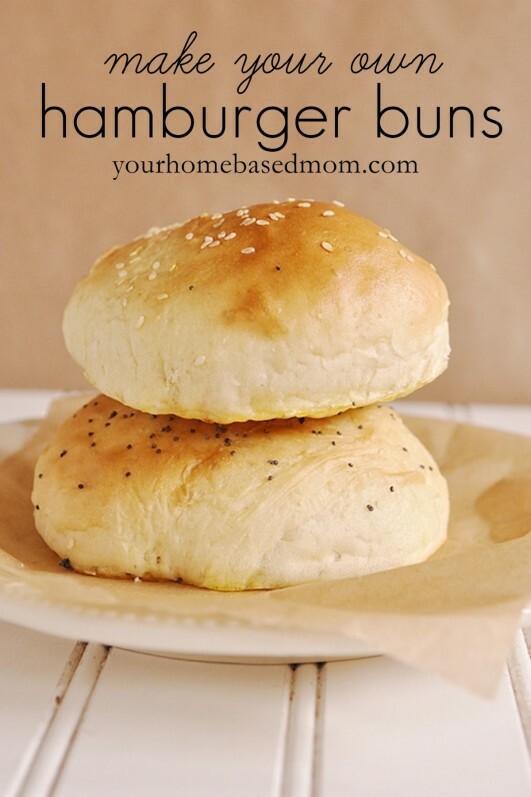 Homemade Hamburger Buns by Your Homebased Mom. Leigh Anne made these amazing buns and they look so good I think I can smell them! I never would have thought to make these from scratch, but they’re on my to-make list now! 1. Follow your host and co-hosts via GFC, Facebook, Blog Lovin, Twitter or Google+. 2. Grab the party button and add it to your party list or post. 3. No Giveaways or Etsy Shops. 4. Please link to a specific post, not your homepage. 5. Get inspired! Visit other links! It is a party after all, no dining and dashing! Thank God it’s Friday! Get ready to party! I’ll be pinning all of your links to my TGIF Link Party Board on Pinterest to share with my followers! You’re a great blogger and you definitely have something to bring to the party. I hope you will reconsider linking up some of your posts. Link parties are a great way to make new friends and network. We’re all here to support you! Thank You so much for the party! It’s always fabulous to come and visit your blog and the co-host’s blogs too! Have a fun weekend Rebecca! I’m always glad to have you! Thanks for stopping by, I hope to see you again next week! You are most welcome, it just looked so delicious! Thanks for co-hosting with me this week! Hope you had a lovely day!!! You are most welcome, Cami! You’re so organized. Thanks for joining the party! Thanks for inviting me over! Thanks for the great party Rebecca! Thanks so much for joining as well as for sharing! I hope more people come and link up! It’s always nice to have you here, Ritchil! Thanks for partying with me this week! Thanks for hosting, Rebecca! 🙂 Have a great weekend! Thanks for joining the party, Lorraine! I hope you have a great one as well! Thanks for hosting! I linked up 🙂 thank you! Yay! I’m so glad you decided to! Have a great weekend! What a fun party this week! Thanks for hosting. Thanks, Virginia! Glad you linked up! Have a great weekend! A very happy Friday indeed! Thanks for stopping by to party! I know, lots of great link ups and I hope they keep coming! Thanks for stopping back to check them out and to party with me this week! I hope you have a great weekend too! Thanks for the invite, happily linking up! You are most welcome, glad you could make it! Have a wonderful day as well! Thank you for the party and the invite. I added another recipe this week too. I am adding your party button to my page so I’ll be share and come each week. Have a great weekend. Hope to see you at Tuesday Trivia.